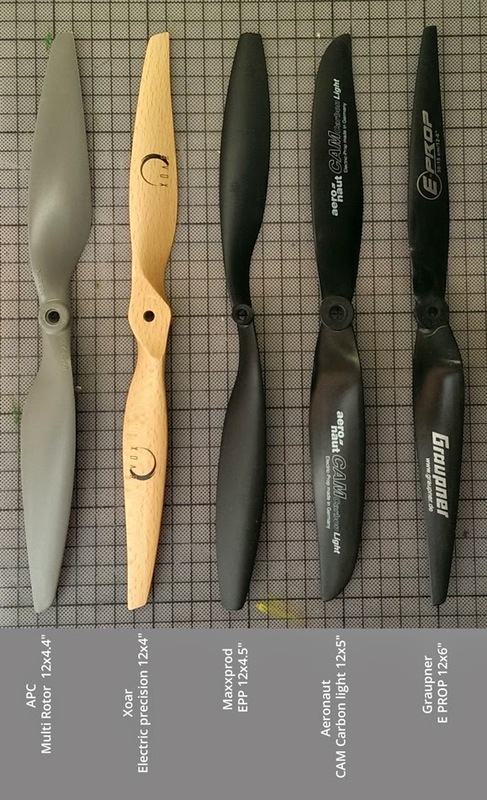 Recently, I tested some 12" propellers as I want to make a 12" hexrotor (nothing special, existing 3rd party frame). There are some different opinions about these propellers, but I was missing a direct comparison. I tested 3S (12 Volts) and 4S (16 Volts) and measured the thrust and the current on a test stand, simulating hovering flight. I used a RCtimer HP2814(3536)-710KV motor and an AfroESC 20A slim speed controller. The 2014 International Micro Air Vehicle Conference and Competition (IMAV 2014) will take place on August 12-15 in Delft, The Netherlands. I am very happy that I can join this event again this year (after my longer 'baby-break' last year). Just as in the previous IMAV competitions, I'll team up with Tumba. 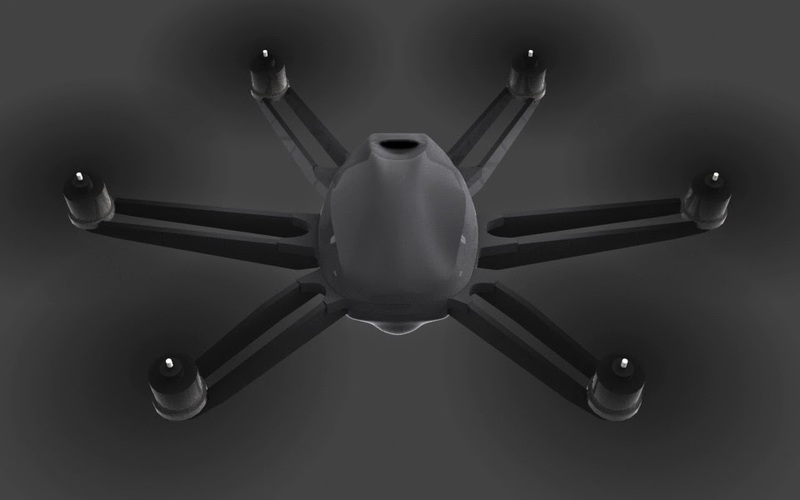 He will use several autonomous and FPV-controlled "Alpha" quadrotors and I will take some FPV BOLTs and GEMiNis with me. This year, the competition is especially fun, because the organization committee from TU Delft decided to combine the indoor and outdoor competitions in a single event. Tasks include to create a photomap of a village, detect obstacles, street numbers and open windows, and to finally enter some houses and explore the rooms. This might be pretty challenging, depending on the wind conditions and the video link quality. You can have a look at the competition rules here. The idea was to make something pretty aerodynamic. The booms are flat plates (each is a very stiff and light sandwich of glas fibre / balsa end-grain / glas fibre) that are arranged parallel to the airflow of the propellers (8"). They hence have very low aerodynamic drag, similar to the body of the copter which is tilted 30° with respect to the propeller plane. Unfortunately, my time for supporting the development of the HEXO+ project will be very limited in the future. But as I really like these kind of projects, I'll try to stay involved somehow. William Thielicke in the TV-Show "Die Große Show der Naturwunder"
A few weeks ago, I was invited as a guest to the "Große Show der Naturwunder" with Frank Elstner and Ranga Yogeshwar (guests in the show are Guido Cantz, Stefanie Stappenbeck, Marie Bäumer and Horst Lichter. Produced by FirstEntertainment GmbH). I am giving a short demo flight with the GEMiNi and video goggles. 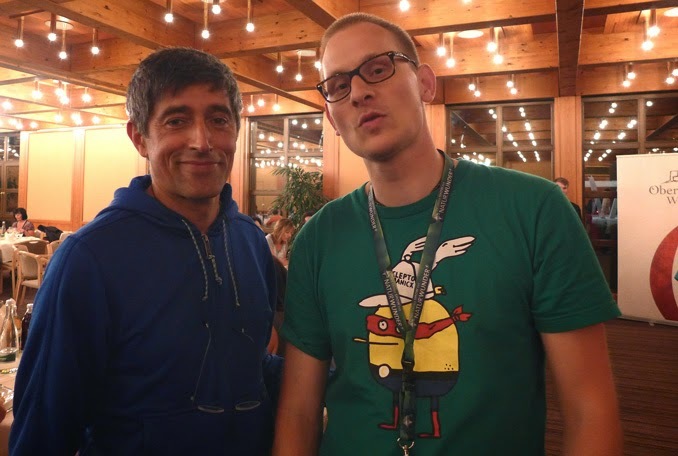 Ranga Yogeshwar also does a short interview with me. The show will be broadcasted on the 31. Juli 2014 at 20.15h in the ARD. It took around 4 days to produce this show, so my partner, my twin (gemini) girls an me spent a very nice week in a lovely hotel in south Germany. I really enjoyed the time over there, it is so interesting to get insights in such kind of TV productions! Here's a description of the "multirotor part" in the show.